Tom Hostetler nearly achieved perfection in this May 1988 game with single-A Clinton - he made it to the ninth inning without allowing a Wausau runner to reach base, according to The South Florida Sun Sentinel. Clinton and Hostetler ended up winning the game 3-0, but Hostetler lost the perfect game and the no-hitter with one out as Wausau hitter Todd Haney knocked a double, The Sun Sentinel wrote. Hostetler almost threw that perfect game in his second professional season. He went on to see time in six pro seasons. He got as high as AAA, but he didn't make the majors. Hostetler's career began in 1987, taken by the Giants in the eighth round of the draft out of Delta State University in Mississippi. Hostetler started with the Giants at short-season Everett. He went 9-2 over 14 outings, 13 starts, with a 3.08 ERA. He went seven innings in a July game without giving up a run. 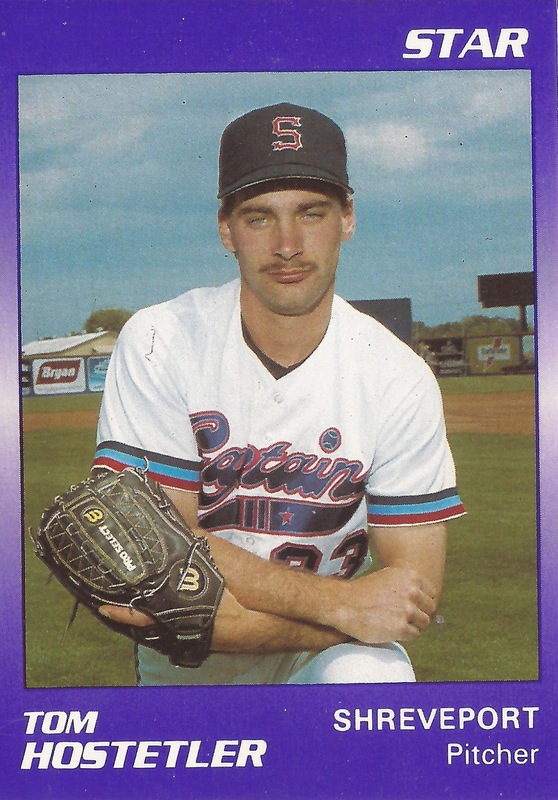 He started 1988 at single-A Clinton and he pitched well. He went 11-3, with a 2.54 ERA there, before getting six starts at single-A San Jose. Before that near-perfect game for Clinton, Hostetler warmed up by striking out 17 in a game. Hostetler split 1989 between San Jose and AA Shreveport. He debuted for Shreveport in July, striking out seven in 5.1 innings, but took the loss. Hostetler played all of 1990 at Shreveport and returned there for 1991. He had a 3.04 ERA in 1990 and then a 3.55 ERA over nine 1991 starts. He underwent rotator cuff surgery toward the end, then pitched semi-pro ball in Chicago. He returned in 1995 to play that spring, then played four games at AAA Edmonton and five at independent Winnipeg, ending his career.